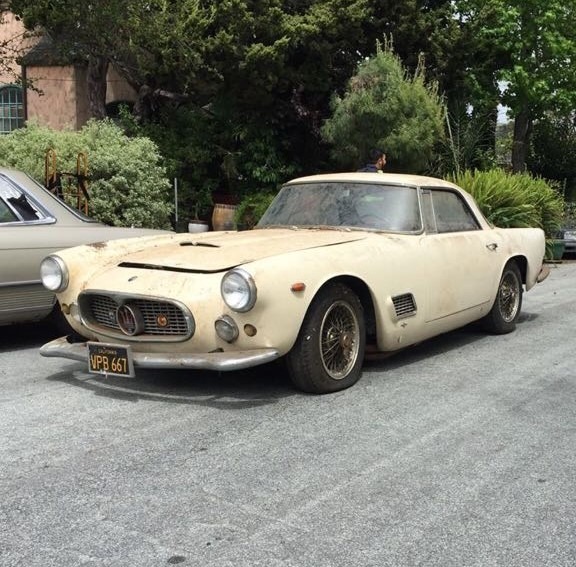 This 1962 Maserati 3500GT left the factory carbureted, with a 5-speed gearbox and disc brakes. Only a handful of 3500GTs were built in this configuration. A lifelong black plate California car just extracted from barn storage where its been sitting quietly and undisturbed since 1978. 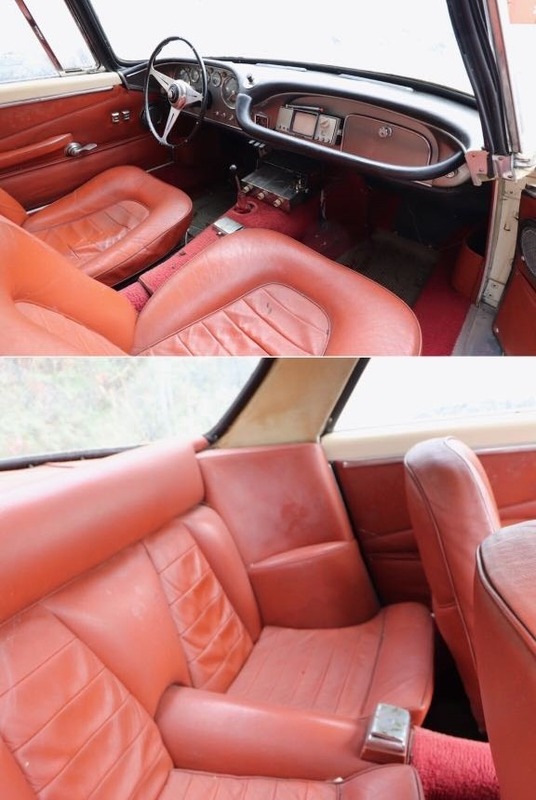 Ivory with red leather interior and just one owner since 1967. An incredibly original matching numbers car and offered in an extremely rare factory combination. This is the very best car you can restore being a 5-speed carbureted, disc brake model. 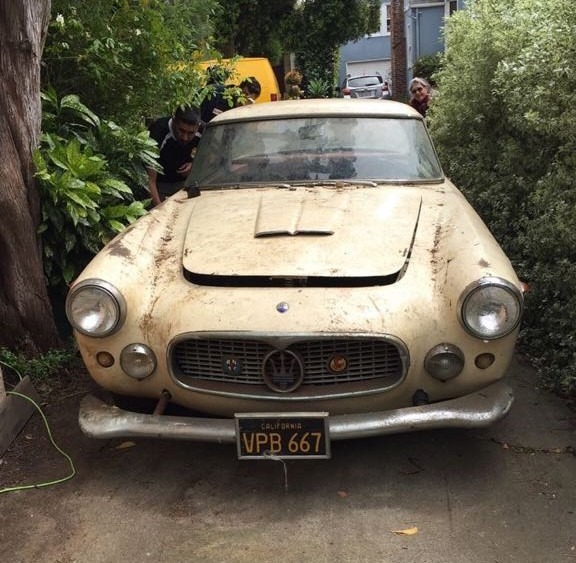 If you're a Maserati collector or enthusiast, you will not find a better restoration candidate. 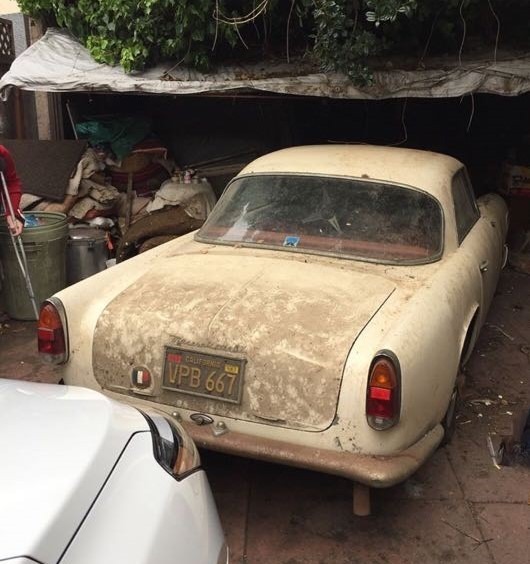 The chance to own such a car is very likely a once in a lifetime opportunity. 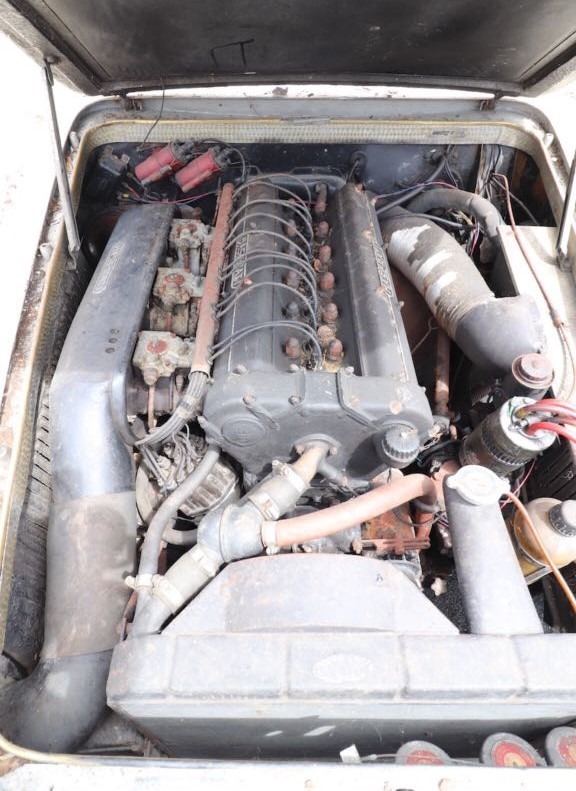 To find another un-restored original 3500GT with these three specifications and one that can be restored to your own standards is likely impossible, making this example an undeniably exciting discovery.